In December 2018, Gov. David Ige reappointed Pankaj Bhanot as Department of Human Services (DHS) Director. As director, Bhanot also reappointed DHS Deputy Director Cathy Betts. Bhanot has served as DHS Director since September 2016, after the departure of former director Rachael Wong. 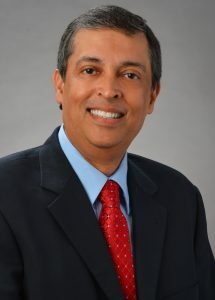 Bhanot previously served as Wong’s deputy and had served as deputy for former director Patricia McManaman. Bhanot has spent most of the last twenty years working for DHS. He’s spent much of those two decades in the Benefit, Employment and Support Services Division (BESSD). During his tenure with BESSD, he led efforts in child care and employment and training. He also led the entire division before joining both McManaman and Wong in the DHS Director’s Office. Bhanot is proud to be one of the few cabinet appointments who rose up through the civil service ranks. As Bhanot begins his second term as DHS Director, he brings along previous staff and has added to his team. Malia Taum-Deenik continues as legislative coordinator and complaints liaison. Keopu Reelitz returns as public information officer. Cari Uesugi will still lead the department’s limited English proficiency efforts. Additionally, Bhanot named Katherine Korenaga, who had previously worked in the office, as Community Development and Project Director. Korenaga will help lead development and implementation of the department’s multi-generational approach ‘Ohana Nui. He also welcomed Veronica Cheong back to the DHS Director’s Office as his private secretary. And finally, Janelle Kalawe-Ching joined the office as Art Director who will help with visual and branding efforts as they relate to ‘Ohana Nui and the related Integrated Enterprise System (also formerly referred to as the DHS Enterprise Platform). Bhanot’s appointment is subject to Senate confirmation. Betts’ is not.